The tort of interference is one of the most unpopular tortious liabilities which players in the business world must be careful of. 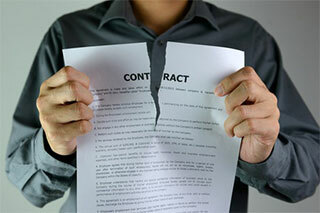 In simple terms, it means the intentional interference with contractual or business relations. Generally, the law of Torts enforces the breach of a duty imposed by law, to protect the interest of an affected person. Torts range from Trespass to person, Negligence, Nuisance which are the more common tortious liabilities. However, there are a number of tortious liabilities that are not quite popular. WHEN ARE YOU LIKELY LIABLE FOR TORT OF INTERFERENCE? 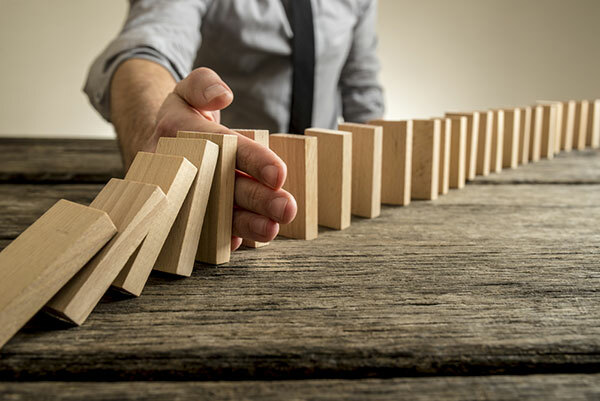 A defendant would be liable for tortious interference when he intentionally interferes or damages someone else’s contractual or business relationships with a third party and by so doing causes economic harm. He may be so liable by persuading a third party to break his contract with the Plaintiff, perhaps for a better offer, with the intention to cause harm to the Plaintiff. He would also be liable if he commits an unlawful act capable of interfering with the contract between two contractual parties. For example, in Tarleton v M’Gawley (1793), Peake 270, 170 ER 153, the master of a ship fired its cannons at a canoe attempting to trade with a competitor’s ship. The Court held that the Master was liable to the plaintiff for committing an unlawful act directed at the parties with the intention of preventing trade between the parties. WHAT ARE THE VALID ELEMENTS OF THE TORT OF INTERFERENCE? The Defendant’s intention to cause damage to the Plaintiff’s economic relationship with a third party or to inflict economic harm on the Plaintiff. The defendant engaged in an unlawful act. The Plaintiff has suffered Damage as a result of the interference. Presence of incidental economic harm is not sufficient to impose liability on a defendant. This is so because incidental economic harm is a usual consequence of legitimate market competition. A defendant must, therefore, cross the line of incidental economic harm, to deliberate economic harm. There are no ironclad rules applied to determine the existence of an intention to cause economic harm. The Court would look at the entire circumstance of the case. However, if a defendant had knowledge of an existing contract, yet induces a breach in a manner which, to his knowledge, would have a negative impact to the interest of the plaintiff, a rebuttable presumption of an intention to cause economic harm would be established against him. Such a presumption would be deemed to exist even if the defendant is not aware of or familiar with the details of the contract. Leitch & Co. v. Leydon  A.C.90. In Lumley v. Gye (1853) 2 El. & Bl.126, the plaintiff, who was the owner of Queen’s Theatre, contracted the services of a famous singer, to perform exclusively in the theatre for a period of time. The defendant who was a rival to the theatre and maliciously intending to injure the plaintiff decided to persuade the singer to perform for him. The Court found in favour of Plaintiff and held the defendant liable for Tortious Interference. 2.The defendant engaging in an unlawful act. An unlawful Act is one that can give rise to a civil cause of action against the defendant. Criminal offenses and breaches of the statute are generally not acts that can give rise to a right of action for tortious interference, except if the acts can also give rise to the right of action in a civil case. A classic example occurred in AI Enterprises Ltd v Bram Enterprises Ltd, 2014 SCC, where one out of four brothers dissented to the sale of an apartment co-owned by them all through their respective companies. The company of the dissenting brother failed to buy the apartment at the first Appraised value. Further to this, the dissenting brother filed caveats on the building’s title and impeded potential purchasers’ access to the property. Eventually, two years after the earlier attempts to sell, the dissenting brother’s company bought the building at the Appraised value. An action instituted against the dissenting brother for interfering with the plaintiff’s economic relations with potential buyers failed. The Supreme Court of Canada held that the acts committed by the dissenting brother are not acts that can give to a civil action. Damage is the underscoring factor of tortious interference. Without the proof of damage suffered by the plaintiff, a case founded on interference with a contractual relationship is bound to fail. The damage may be pecuniary or other loss of a contractual party. Where loss of pecuniary nature is proved, the plaintiff may still recover damages for non-pecuniary losses, such as injured feelings. If the defendant is the plaintiff’s competitor, the case may be a suitable one for the award of exemplary damages. Pratt v. B.M.A (1919) 1K.B. 244. IS TORTIOUS INTERFERENCE THE SAME AS PASSING OFF? 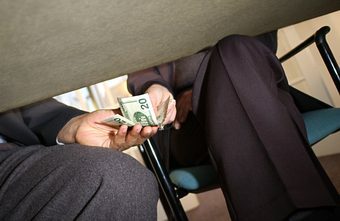 In tortious interference, the defendant deals directly with the contractual partner of the plaintiff, i.e A, the defendant, deals directly with B who is in a contractual relationship with C. However, in the tort of Passing off, although the defendant seeks to divert patronage of the plaintiff’s company, there is no binding relationship between the plaintiff and the consumers. In tortious interference, the defendant does not act like the plaintiff by way of copying his style of business or trademark. However, the tort of passing off is centered on the defendant’s attempt to deliberately deceive the public to mistake him for the plaintiff. IS TORTIOUS INTERFERENCE WITH ECONOMIC RELATIONS RECOGNISED UNDER NIGERIAN LAW? Indeed, tortious interference with economic relations is recognised under Nigerian law. In 2001, the Supreme Court in Sparkling Breweries Ltd. v. Union Bank of Nigeria LPELR-3109 2001(S.C) made a pronouncement in an action founded on the Tort of Unlawful Interference. In this case, the appellants, members of a group of companies requested a letter of credit from the respondent. The respondent granted a letter of credit but later canceled it. This led to the breakdown of the contractual arrangement between the appellants and third parties. The appellants sued the respondent on several grounds, one of which was an unlawful interference with the appellants’ contract with the third parties. The Court held that damages for tortious interference cannot be granted to the plaintiff where the act committed by the defendant is not unlawful. In Oshiomole & Anor v. Federal Government of Nigeria & Anor (2006) LPELR-7570 (C.A), the Court of Appeal also recognised the applicability of tortious interference in Nigeria. In this case, the appellant objected to the implementation of a price hike in gas by the respondent and influenced the citizens to proceed on strike action. The respondent argued that influencing citizens to embark on a strike action constituted Interference and that in influencing the workers or citizens to embark on strike, the appellant must have intimated the citizens on certain details which should be privy to just the respondent and appellant. The court upheld this argument and gave judgment in favour of the respondent. The defence of justification is the major defence applicable to the tort of Interference. The Court would, however, examine the nature of the contract and the relationship between the contractual parties. Advancement of the Defendant’s interest alone will not suffice as a ground for justification. The defense was successfully pleaded in Brimelow v. Casson  1 Ch. 302. A theatrical performers’ protection society persuaded a theatre proprietor to break its contracts with a theatrical manager. This persuasion was justified on the grounds that the wage paid by the manager to the chorus girls was so low that the girls were constrained to resort to supplementary means of income, which led to prostitution. The tort of Interference is rather a very restrictive one, with a narrow range of liability. It seeks to protect contractual relationships from the malicious persuasion of competitors against the plaintiff. Competitors must, therefore, be careful not to incur liability for tortious interference, and be mindful of the elements of tortious interference in business dealings. This is very insightful. However, I think our law is still yet to establish sufficient principles in respect of this area of law. Furthermore, parties could misconstrue passing off for economic tort of interference. The Impact of Constitutional Alterations on the Jurisdiction of the Supreme Court: Supreme Court’s Observation in Shittu Vs. PAN LTD Revisited.